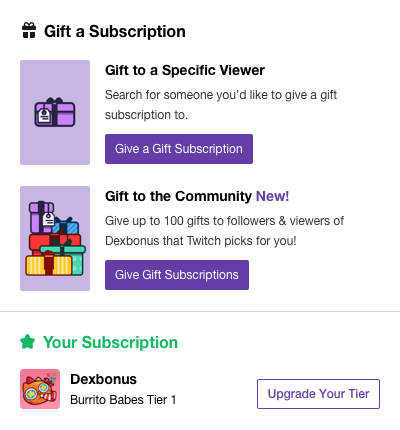 Gift subscription (sub) to the channel you specified on Twitch, from 1 to 3 levels of your choice! 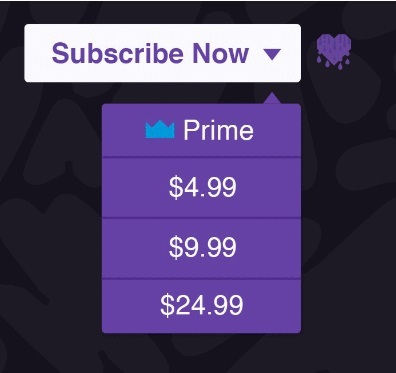 When paying, enter your nickname on Twitch and nickname on Twitch streamer, so that we know who and where to sign! SUBSCRIPTION WILL COME WITHIN 24 HOURS FROM THE MOMENT OF PAYMENT! IN RARE CASES WITHIN 48 HOURS! 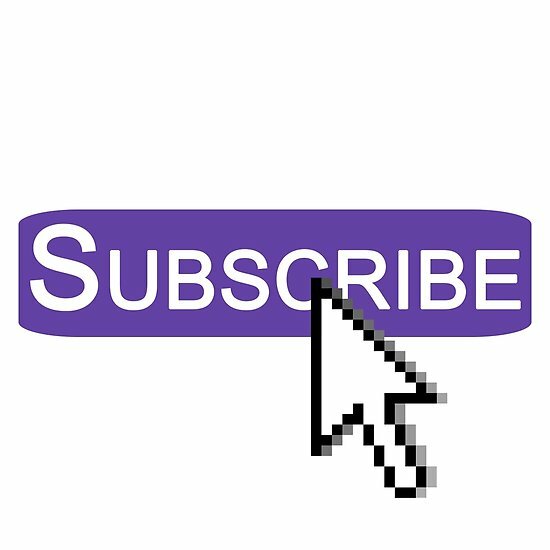 A level 1 subscription makes you a subwoofer on a streamer channel and gives access to all smiles, lasts 30 days! 2 levels subscription, makes you a subwoofer on the channel of the tape drive and gives access to all smiles, lasts 30 days! (+ 1 additional smiley that ordinary sabs don´t have). 3-level subscription, makes you a subwoofer on the channel of the tape drive and gives access to all smiles, lasts 30 days! (+ 2 additional smileys that ordinary sabs don´t have). If you are already a subwoofer on a streamer, we will not be able to give you a subwoofer, since it is possible to donate a subwoofer to all but already subs, please order a subwoofer to channels where you are not a subwoofer!